Although adapted to fire with cones that only open and drop seed in intense heat, the Tecate cypress, found only in Southern California and northern Baja California, suffered a great blow when huge wildfires raged through San Diego County in 2003 and 2007. Although seedlings abounded after 2003, these young trees had not yet grown large enough to produce seeds of their own before the 2007 fires struck. Slow growing species like Tecate cypress benefit greatly from having their seed preserved in long-term storage. Our Plant Conservation team collected this precious commodity from a small population on Otay Mountain that was spared during the fires and conserved it in our Native Plant Seed Bank, providing insurance against further disaster. We have also used some of the seed collected from the Otay population to propagate Tecate cypress seedlings at the San Diego Zoo Safari Park. Inside a shade house dedicated to the propagation of rare and threatened species at the Botanical Conservation Center, our staff cares for the seedlings, some of which eventually find homes with partners and on other properties. The experience gained through this effort can now be drawn upon to enhance management of the wild populations currently impacted by drought. To provide an extra measure of insurance, our partners have utilized many of the seedlings we propagated in order to establish a field bank in the form of a small plantation of long-lived plants able to provide seed for decades. 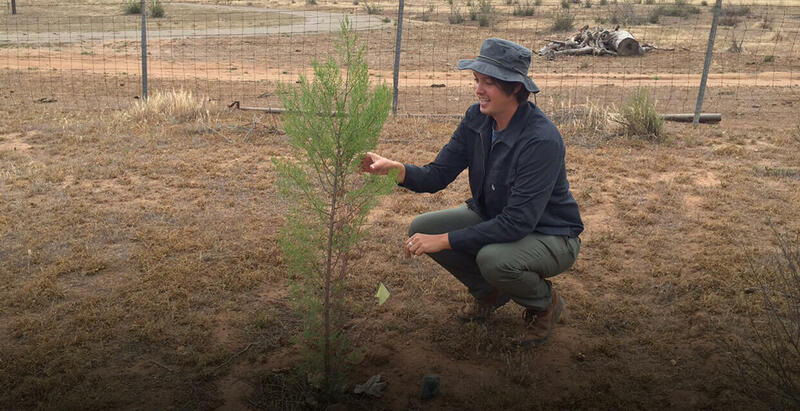 After we successfully nurtured the small Tecate cypress trees through their first year, our partners took over their long-term care at the field bank. Both the field bank and our Native Plant Seed Bank will ensure that frequent wildfires no longer threaten the Tecate cypress with extinction. This month I’ll continue discussing some of the rare plant species that we targeted in 2016 for seed collections as part of the California Plant Rescue.